Having fun with your new Fujifilm Instax camera, or at least planning to buy a Fujifilm Instax camera in the Philippines? If so, then you may have wondered about what else you could possibly do with the collection of photos that you’ll no doubt soon amass, besides sticking them into an album or keeping them in a drawer somewhere. You’re in luck, then, as we have listed below some cute ideas on what to do with these pint-sized, self-developing photos themselves. Read on and see if any of them interest you. If you want your pictures to turn out a bit brighter while also softening the background detail, then you may want to look at taking photos with your Instax Camera’s brightness settings set on Hi Key. Simply rotate the brightness adjustment dial on your camera to the Hi Key option and start snapping away, preferably in settings with little to poor light (such as indoors, at dawn, or in a spot with a lot of shadow). The end result is a picture that seems illuminated a bit more brightly despite the low level of light, and a softer, more ethereal background. Try it out for yourself! One of the easiest things you can do to spice up your Instax photo collection is to scribble funny, entertaining or pithy captions on the white bottom borders of each photo. Instax prints are very similar to Polaroid ones in this regard. It doesn’t necessarily have to be witty or super awe-inspiring, just something you think that captures the mood or encapsulates what’s happening in the photo. If you can’t seem to think about anything, though, then just writing the date, time and place where the photo was taken along with your own thoughts or feelings about it should be enough. Your aim here is to provide context to the photo, to give it another dimension besides what’s being shown. If you’ve got quite a collection built up but you just can’t stand the idea of sticking them into a boring album, then you might want to look into making a photo garland frame for your best photos instead. This involves the use of an unused picture frame, some tough string, miniature clothespins, and frame hanging eyelets. Basically, what you want is to make miniature ‘clotheslines’ hanging across the frame using the string and the eyelets. From there, use the clothespins to ‘hang’ your favorite pictures. Hang up the frame with your pictures onto somewhere visible, like on a wall or on your mantelpiece, and presto! A fun way to showcase your best shots without it being tacky or messy. Gather up your favorite shots and punch a hole through the white uppermost border. String either a keyring or a ribbon through the hole and tie it off securely once you think you’ve added enough photos. Now you have a convenient way of storing your photos that makes it very easy to flip through them. You can even dress it up a bit by ensuring that all the photos in that flipbook has a specific overarching theme, or were taken from a specific time and place. Take your most cherished photos and stick them onto a blank spot of wall on your house or room in a heart formation—or something a little less mawkish for your purpose. This not only artfully arranges your photos but makes it easy for you—and anyone else visiting—to admire them at a glance. Just make sure not to use any kind of adhesive that could harm the paint or wallpaper you’re sticking your photos on. Something mild like painter’s tape is best. If you’re in a really creative mood and you’ve got enough art supplies handy, then you should definitely go for the ultimate in Instax photo activities: making your very own scrapbook with your best photos as the main feature. Get a journal or make your own, and start writing your own personal thoughts, feelings and intimate nuggets of wisdom down alongside your firmly affixed Instax mementoes. Feel free to add or affix trinkets, charms or other miscellany to make each page (or photo) that much more fleshed out or detailed, like perhaps a small seashell from the beach or a stamp from the city you’ve taken the photo from. The scrapbook is your canvas, and your photos are your colors. It’s up to you to bring them all into a cohesive and artistic whole, one that will no doubt impress once you put it up for display. There are many ways to play around with your Fujifilm Instax Photos, with the six listed above only a handful of the possibilities out there. Feel free to crib from our list, or hash something out that’s completely original for your own. Whatever you decide, we’re sure it’s going to look absolutely magical. Just remember to have fun, and don’t take it too seriously! So you have chosen to jump on the boat rowing to online casino-land. Well, firstly, welcome, and secondly, do you know your destination well enough? One of the most important things to notice is the certification and the licenses of the website you are playing at. If you are in the UK, look at the gambling commission’s list of licensed online casinos and choose from any one of them to be safe. A license means that the website has completed all requirements set by the government and is safe. Click this gamevillage link to see what a certified casino and bingo site looks like. Let other experienced players tell you about the sites. You can read reviews too but keep away from too positive or too negative sounding reviews as they may be fake. Try looking around and asking people you know well, or search on trusted review sites online. Though the terms and conditions document may be the most dreadfully boring thing on the entire planet, you are advised to go through that and fully understand it. Check details about withdrawal and deposits and see if they suit your needs. You should also check the bonuses, promotions, and the overall gaming atmosphere of the site before gambling there to get the best experience. As the capital city of the Philippines, Manila is steeped in history. There are many old buildings to admire, cultural landmarks to see, and museums to explore. However, Manila also offers a lot of modern wonders, such as shopping, dining, gaming, and other exciting entertainment experiences. Local and foreign tourists alike simply enjoy exploring Manila and its multi-layered sights, sounds, and flavors. If you haven’t been through the ins and outs of this wonderful city, why not schedule a weekend stay at one of the hotels in this historic site? You will surely have a grand time immersing yourself in this vibrant metropolis. If you don’t have an idea yet where to stay and what to do, check out handy listings like Deal Grocer. You can find the best staycation packages and other group deals and discounts that will surely make your Manila adventure even more easy on the pocket, with the lowest prices guaranteed. You can also go with Customers’ Choice deals, which are offerings from partner establishments with five-star ratings from shoppers. The rankings are based on genuine reviews so you know that the feedback is legit and that you can look forward to the same excellent food and service. Here are just some of the must-try hotels in the city of Manila. This historic hotel is not called The Grand Dame for nothing. Opened in 1912, it has stood witness through a lot of national and social events. A trip to Manila would not be complete without a staycation in this magnificently designed and well-maintained hospitality establishment. To complete your visit, be sure to dine in its iconic F&B outlets such as The Champagne Room and Café Ilang-Ilang. Check out special deals on lunch and dinner buffets. The Diamond is another relatively historic hotel that has seen Manila’s social scene through the decades. It enjoys a prime spot near the equally famous Manila Bay, offering priceless views of its renowned sunsets. Its signature restaurant Corniche is sought after for its gastronomic buffet feast. The hotel is also known for its pulsating night life with popular outlets such as Bar 27 and the Poolside Bar. It is the perfect weekend staycation venue for those looking to paint the town red and make new friends. This hotel is one of the more modern and contemporary luxury accommodations available in the city of Manila. The hotel offers complete country club-like amenities such as a 25-meter outdoor lap pool, as well as relaxing spa and massage services. Staying here is perfect for active yet leisure-oriented individuals, couples, and families who also value privacy and exclusivity. Its signature dining outlets are the Market Café and the Cantonese-centric Li Li. For a different kind of hotel experience, why not try out a boutique establishment like the Amelie? This charming art deco-inspired hotel fits perfectly within its location of the bohemian district of Malate in old Manila. It is a great start-off point to explore the city by commuting or walking. You can pass by a lot of hip retail shops, restaurants, cultural landmarks, museums, and other points of interest. A great tip to snag the best online group or discount deals is to be prepared to simply click—once you feel you have found an irresistible offer, make sure to act fast before it disappears! Online deals are a great way to save and enjoy the best value for your money. All it takes is a little preparation, patience, and the right shopping instincts. If you love tumbling and gymnastics very much, you may know that the version of air track is developing very quickly. With the air mat high technology and fantastic craftsmanship, the quality of air tracks is improving to a great degree, which can benefit both club gymnasts and visitors in the long run. Both girls and boys go to buy this air mat equipment to enhance their skills in the training process and endeavor to gain success in various competitions. 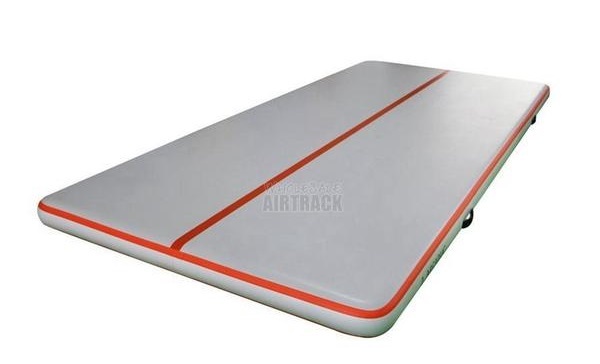 The gymnastics practice mats price is economic and the material is imported, which has added advantage to our air mat in quality and anti-tear feature. 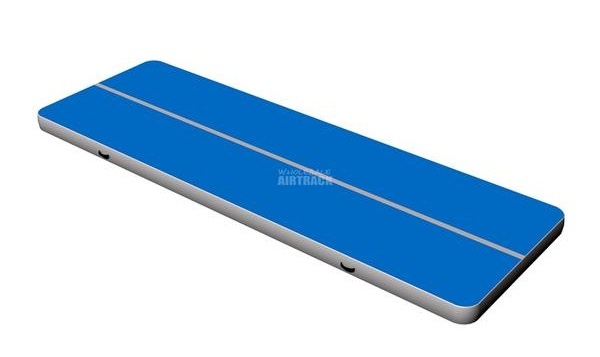 The size and color of our air track are diverse, which can meet the demands of customers at different ages and with various preferences. Many clubs or organizations begin to purchase the air track equipment from our factory to protect athletes or children from injuring. With this aid equipment, customers can make use of their free time at home to do some basic training. Their family members can also use the air mat to play games to kill time when they do not want to go outside. This outdoor and indoor air track with multiple purposes has become a highlight in people’s daily life. It is really a great piece of equipment for the gym, which has been used by most of the groups that use the gym. If you have watched the tumble tracks volleyball game, you will know it is quite safe and funny for athletes to play volleyball on inflatable tumble track for home. The air inflatable cushion of our company has won a good reputation with numerous great reviews on the website. Once upon a time, when I was still a greenhorn, I equated success to how high one’s compensation package is and how lofty the title he/she holds in a corporation. Success meant having a license one can boast of and being well-respected in the industry one is a part of. I once dreamt of being that successful, you know. Until a loved one passed away. I realized then that success is a matter of perspective. I can stay at home and still breathe success every single day. I need not be the CEO or President of a company just to be able to say I am successful in my career. I need not earn a hundred grand or more just to feel like I’ve been a success. I can still earn an average income and still be a success because I am living a happy life. There is a sense of achievement in being able to provide for the family. There is a sense of achievement also in working hard every single day no matter what position you are holding just as long as you are able to deliver what is expected of you. Breathe success no matter where you are! A stay-at-home mom is still a huge success seeing as to how she takes care of everyone at home, home cleaning and all, and still have time for herself and others. It doesn’t matter if you are a lowly rank and file employee, or an online worker like me. 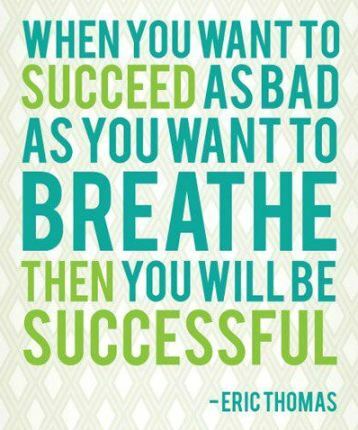 Breathe success and you will be no matter where you are! 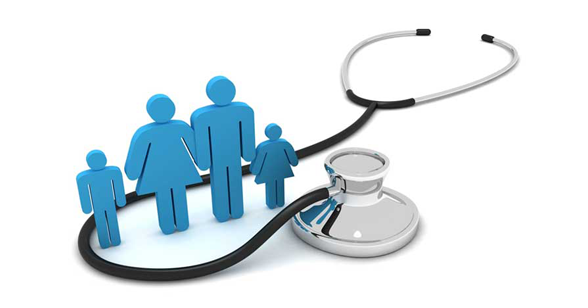 Healthcare Insurance: Do you have one? Let me tell you how my family struggled in paying for medical bills of my brother and my mom when they got sick. We lost whatever money we had including resources and such when my brother was diagnosed with leukemia. It was a six-month battle that we didn’t won. We lost my brother and we also lost big time in paying for all the medical bills incurred during those six months and after. The same thing happened when my mom got diagnosed with a rare kidney disease. My mom and the family battled it out with amyloidosis of the kidneys for three long years. My mom was in and out of the hospital, had four to six specialists who checked on her regularly, and was in several medications for her other internal organs. You can just imagine the amount of money we needed that time for her to get better. Which in the end didn’t really took place because she lost the battle to her disease. Two sickness and deaths in the family. Both times we lost so much money, which was not really an issue with us, but had there been health insurances in both cases, we wouldn’t have had to undergo so much stress in looking for money to pay for their medical bills. That’s how important healthcare insurance is! We learned our lesson. We had to go through the process of grieving and rebuilding our resources once again, latching onto the process like there’s a carabiner attached to it. Twice. But now that we know what to do, we are getting healthcare insurance so that when it happens again, which I pray so hard that it won’t, we have something to fall back on, to tap into.